Vindicating the Vixens is a wonderful book edited by Sandra Glahn and published by Kregel Academic. It looks at fourteen different women in the Bible and seeks to set the record straight about how scripture portrays them. One of the most impressive things about this book is the incredible diversity of the contributors and the singular commitment to seek truth in the accounts of these women — truth which is found first and foremost within the biblical text itself. The contributors include men, women, egalitarians and complimentarians from a range of ethnic and denominational backgrounds making this a book with a very broad perspective. This makes the commitment to the centrality and authority of scripture even more impressive. If I have any complaints about Vindicating the Vixens it is the use of the word ‘vixen’ in the title. Vixen, meaning an “ill-tempered or quarrelsome woman” doesn’t really fit the misconception of any of these women. The subtitle is more helpful in describing the book as “revisiting sexulaized, vilified, and marginalized women of the Bible”. Vindicating the Vixens examines the biblical text, cultural context, and linguistic nuances of the biblical languages to truly vindicate the lives of these women. It includes, but is not limited to the lives of such women as Tamar, Bathsheba, Eve, the Samaritan woman at the well, and Mary Magdalene. In all, the book examines eleven women from scripture and offers a much needed correction to the common view of women in the Bible. Click here to purchase Vindicating the Vixens: Revisiting Sexualized, Vilified, and Marginalized Women of the Bible from Christianbook.com, or search Amazon.com for the best price. 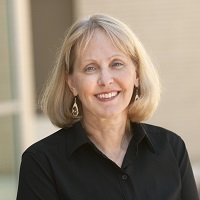 Sandra Glahn, ThM, is a professor in media arts and worship at Dallas Theological Seminary. Glahn is also a journalist and the author or coauthor of twenty books that include Informed Consent: A Novel. When you say egalitarian do you mean feminist? How is this a Christian book? Oh golly here we go. There is a vast difference between egalitarian and feminist. At least in the modern iteration of feminism. Egalitarians are committed to scriptural authority. Modern feminists are committed to the authority of the feminist narrative. The egalitarian men and women who contributed to this book are solid evangelicals and committed conservatives. Hello Laura, I don’t necessarily mean feminist necessarily. I mean egalitarian. However it depends on how you are defining feminism. There is a great deal of difference between someone like Dorothy Sayers and Gloria Steinem. Both are considered feminists but their views are divergent. Is there a specific belief that you are questioning? I’ve always been a big fan of Sandra Glahn. I’m sure this book will be no different. I don’t agree with her completely on all of the issues but I think she is always fair. I’ve always wondered about some of these women and if they’re getting a fair shot. I don’t want to sound like I’m laming some conspiracy patriarchy but sometimes I think our culture has devalued women. Michelle I agree with you. I think we often commit an anachronism when reading ancient texts and a lot of how we come to interpret a text has a lot more to do with modern understandings of women and culture than the ancient culture itself. I’m not sure that I’m understanding the theme of the book completely. Can you give an example of a vilified woman? I’m slow hee hee! Hello Bri, can I start by asking you a question? When you think of the Samaritan woman at the well, what comes to mind? Who was she? What was her dilemma? What was the specific issue that Jesus was addressing when he spoke to her? I’m not asking in order to entrap you or anything. I’m just curious how widespread the interpretations are. Anyone else can feel free to comment as well.